The Kitchen Classics is a full service kitchen and bath design and installation remodeling company. 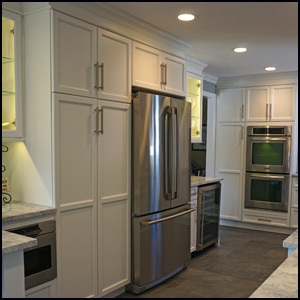 We provide finished kitchens, baths, and custom millwork to homeowners, builders, remodelers and multi-family projects. 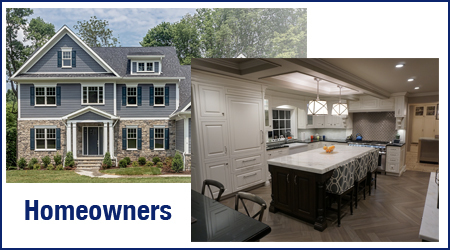 For over 30 years we have been providing innovative design, with expert installation to create not only extraordinary kitchens, but baths, libraries, entertainment centers, laundry and mud room amenities and more. If you are looking to remodel your current kitchen we offer a host of products and services including full design services. Explore how a multi-faceted kitchen and bath design and installation company like The Kitchen Classics can create environments of lasting beauty. Our Kitchen and Bath Showroom is located in Vauxhall / Milburn on Springfield Avenue in Union County New Jersey. Our showroom is close to the towns of Short Hills, Millburn, Springfield, Maplewood, Summit and Chatham. 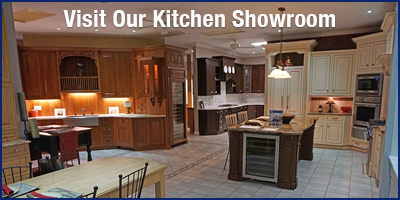 Our kitchen and bath showroom features 10 different kitchen examples, in a range of styles and colors. To learn more please visit our Kitchen and Bath Showroom page. We are a full service kitchen remodeling company offering our clients, a showroom, design services and installation coordination. 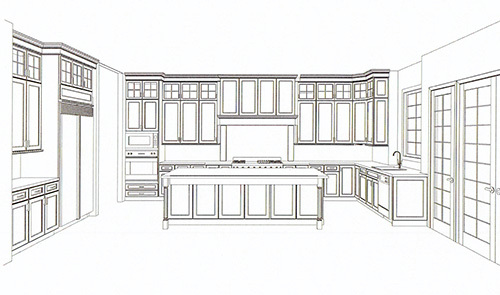 We are a one-stop resource for homeowners looking to remodel or renovate their kitchen. Explore your options in our extensive showroom, work closely with our award winning designers, and finish your dream kitchen remodel with our expert installation services. Learn more about our kitchen remodeling capabilities on our Kitchen Remodeling Page. Getting started on your new kitchen or bath can seem overwhelming. Where do you start? What choices will you have to make? How can you be prepared to meet with a kitchen designer? 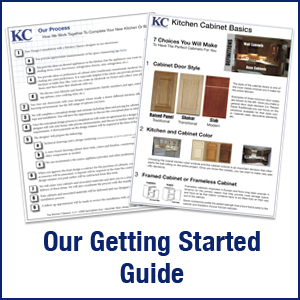 Our 4 page guide tells you about Our Process, Cabinet Choices You'll Have To Make and A guide on How To Measure Your Kitchen Or Bath. You'll understand the process, the choices you'll have to make and how to accurately measure your space for the designer. Download The Four Page PDF Here. 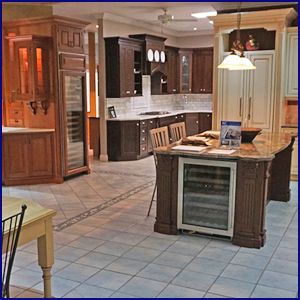 Through nearly forty years of experience we have worked with kitchen and bath cabinets from a number of manufacturers. Although we have access to a wide range of manufacturers we have focused on 6 companies that offer the quality, variety and price points we are looking for. We feel strongly that with this group you will have a range of choices and will be able to find the kitchen or bath cabinet that is perfect for your project. 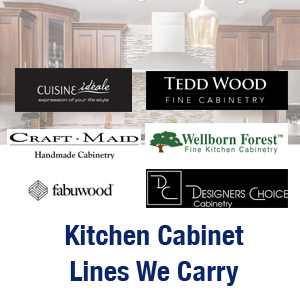 Explore Our Kitchen and Bath Cabinet Makers Here. Talk With Our Senior Kitchen Designer! Email us through the form to the left and Yury will call you back to discuss your unique project. Let's get started together - today. Thank You! Is it time to remodel your existing kitchen? 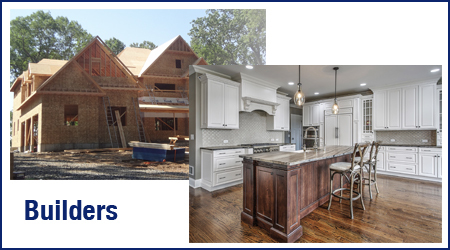 Or are you building a new home or addition and thinking about the kitchen, bath, and accents of your dreams? We are here to help! We install new kitchens and remodel existing kitchens. Our design staff will help you plan your project and our installation team can build it for you. We can take care of your kitchen and bath needs as well as built-in bookcases, laundry and mud room finishes, bars and more. We simplify your life by assuring you only have to deal with one contractor. Kitchen Classics designs and installs kitchens, baths and fine millwork for builders of renovated homes, newly constructed single family and multi-family homes. We have been working with builders for over three decades and understand the unique challenges that you face. The kitchen may be the most important room in the home for many people and we excel at finding the right solutions at the right budget. Our design team is ready to talk about your specific project and needs.